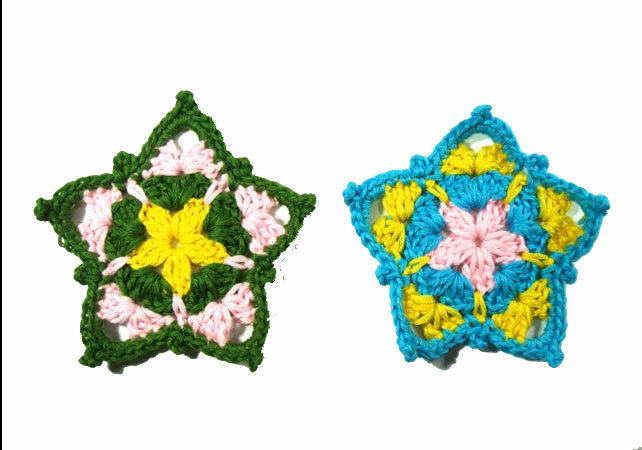 To crochet a beauty like this you will need an instruction that will guide you from start to end and help you learn how to crochet a colorful star like this on your own very fast and very easy. Of course you are free to choose the colors you like and crochet a colorful star depending on your taste and opinion. I love the one that is crocheted using blue yellow and pink yarns. The video tutorial is very easy to follow and I think that you will not have any kind of a problem while working on this project.